Work begins on our new “front door”. 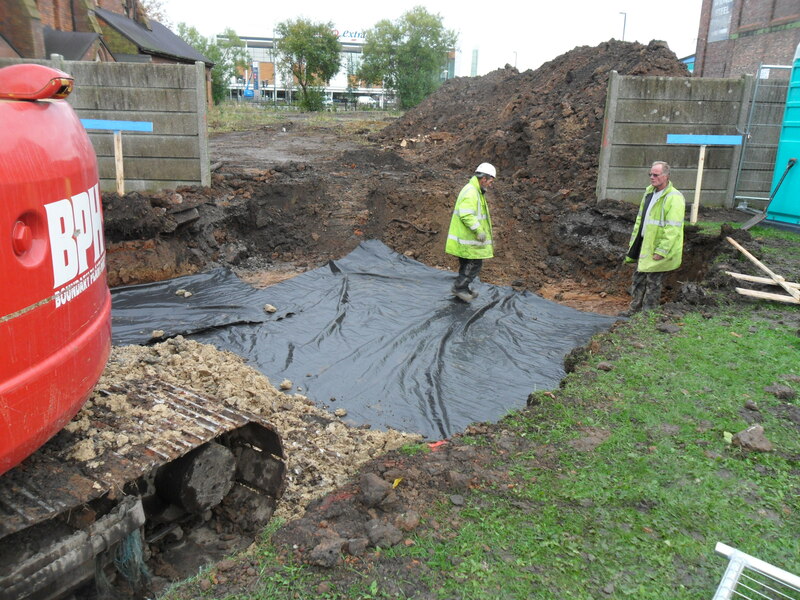 An existing drain we uncovered working on the new car park (adjacent to Tesco’s staff car park). Could it have been the drainage for the terraced houses? 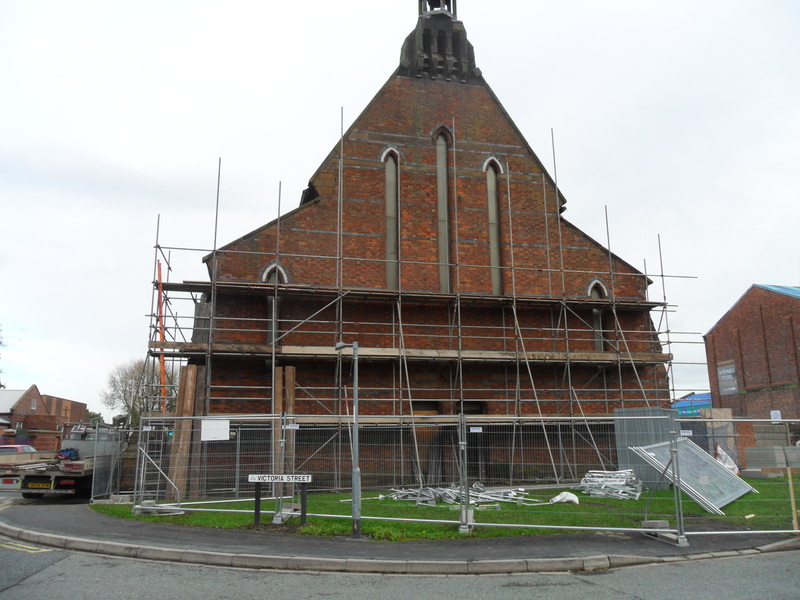 Some of this week’s best photographs, taken by Dave Clark from John Turner Construction Ltd. The best of this week’s action captured by Dave Clark from John Turner Construction Ltd.
A buttress on top of the arch had to come out for the layout of the new extension. 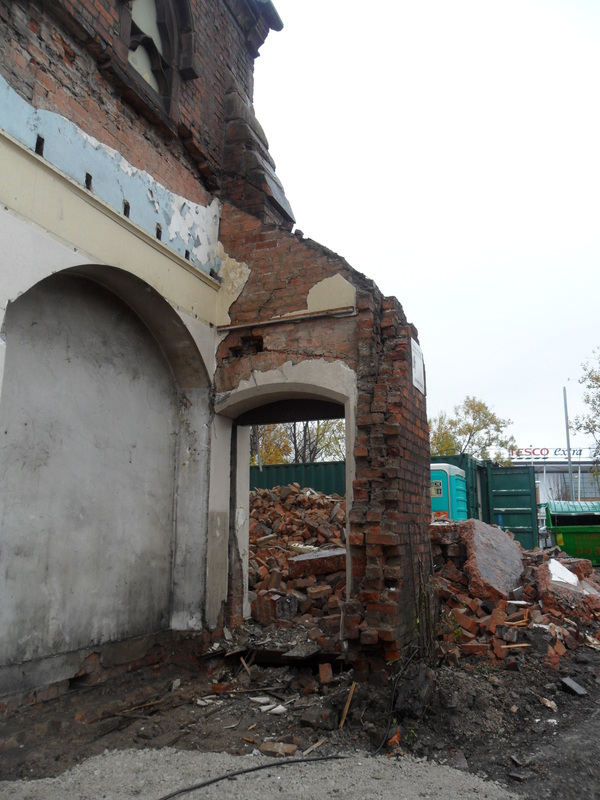 In order for it’s safe removal a flying shoring scaffold design had to be installed to support the corner of the church in order to remove the masonry and archway and then a new foundation was installed to rebuild a full height corner buttress. 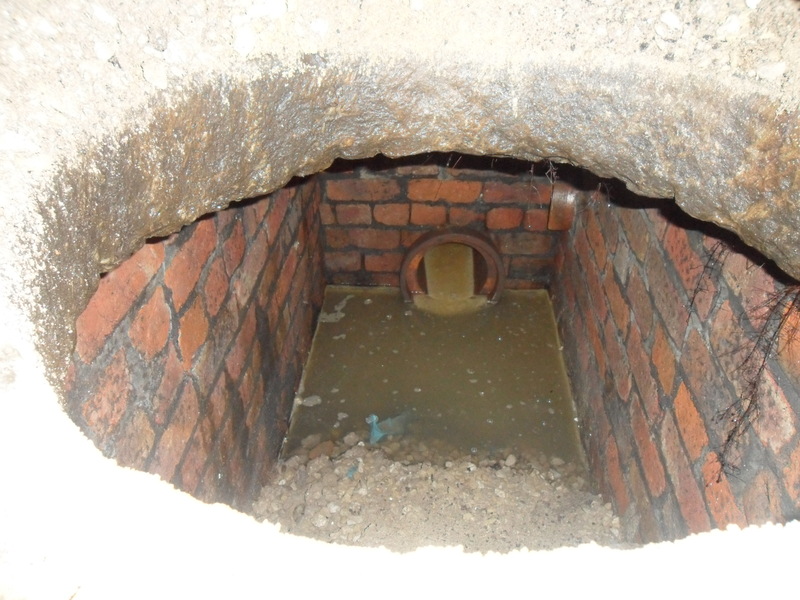 A look into the existing adopted manhole. 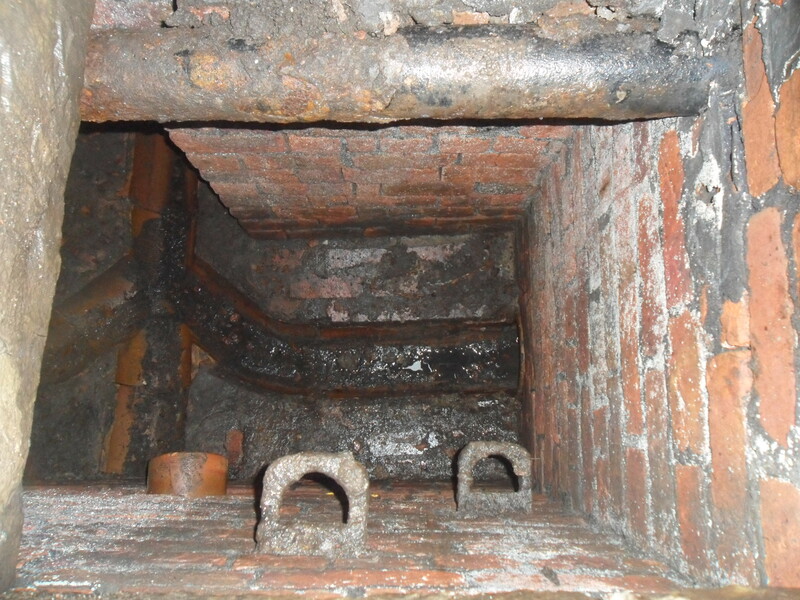 Or a inspection chamber if you prefer. 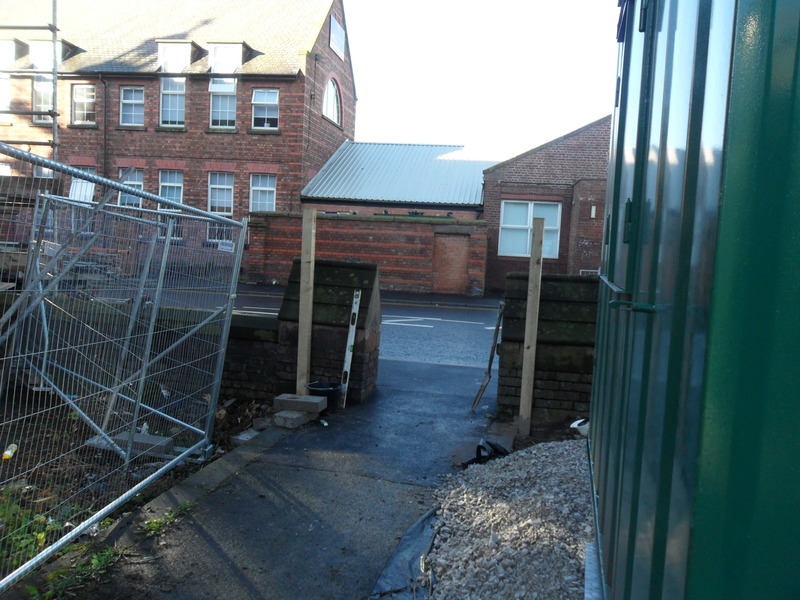 All the new foul and surface water from the church building and new car park was connected into this. A few more snaps of the fine work at St Marie’s Church captured by Dave Clark from John Turners Construction Ltd.
Not a swimming pool. 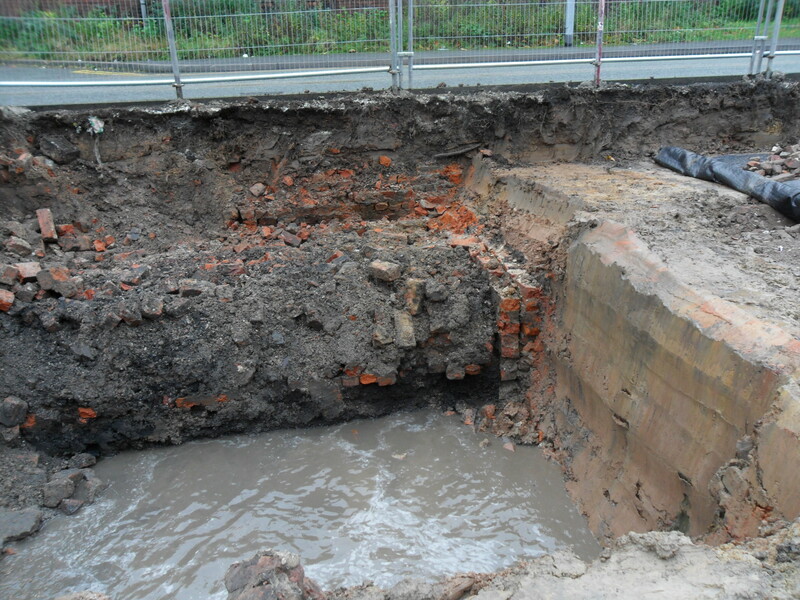 These are existing drainage and foundations from a previous dwelling that had to be removed, down to virgin clay in order to install new stone foundations for the new car park. 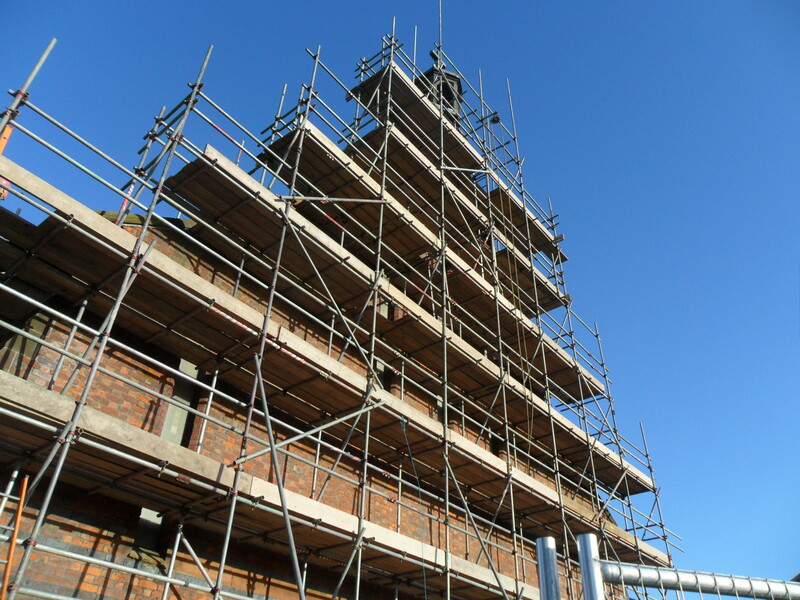 The completed scaffolding (now reaching the bell tower). Many thanks to Dave Turner, Project Manager for John Turner Construction Ltd, for his kind offer to provide us with a few photos each week. Hopefully you’ll enjoy seeing the redevelopment take shape over the next few months…..
We bid a fond farewell to that glorious grey fence.